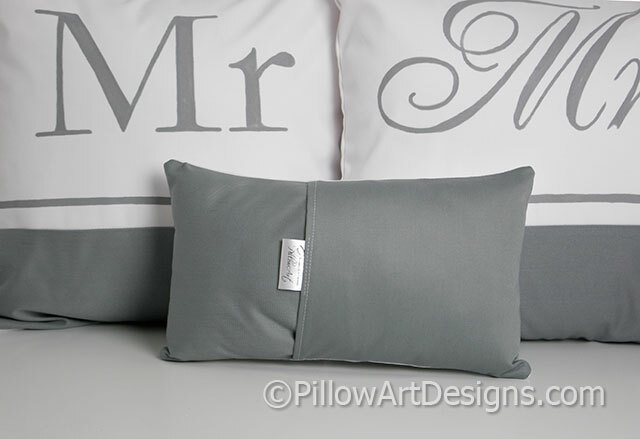 Small white cotton pillow measures 8 X 12 inches, comes stuff with hi loft polyester fiberfill, no need for an insert. 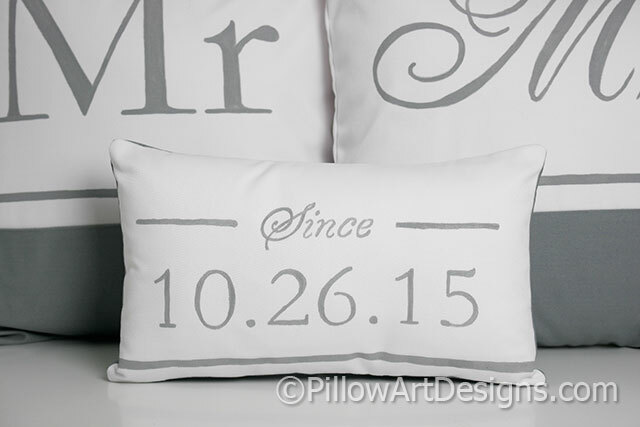 Date in numerical format hand painted on front under 'Since' written in script font. Outer fabric which cotton polyester twill, fully lined with white cotton polyester. Back panels grey cotton polyester twill. 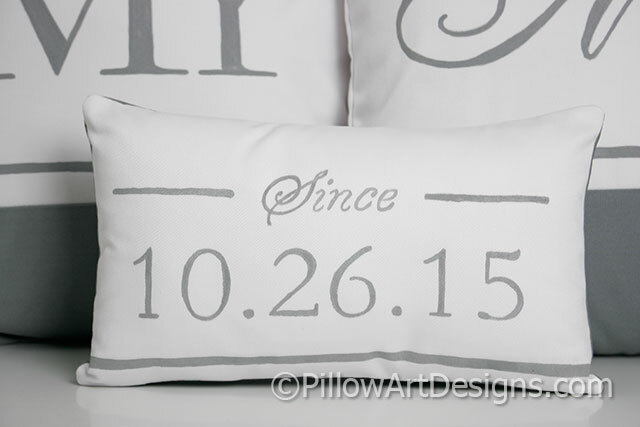 To order, purchase this listing and remember to send me a note with the date numerals for the front of the pillow.